Deep in the interior of Central Africa lies the Republic of Chad, a country dependent on agriculture for most of its revenue. Below the surface, it has abundant reserves of petroleum, but it was not until Chinese oil and gas giant - China National Petroleum Corp. (CNPC) - began production there in 2011, that the country eventually realized energy self-sufficiency. When CNPC first set foot in Chad 15 years ago, domestic oil consumption in the country was heavily dependent on imports. In September 2007, a bilateral agreement was reached to build a joint-stock refinery plant, marking the starting point for China-Chad petroleum cooperation. 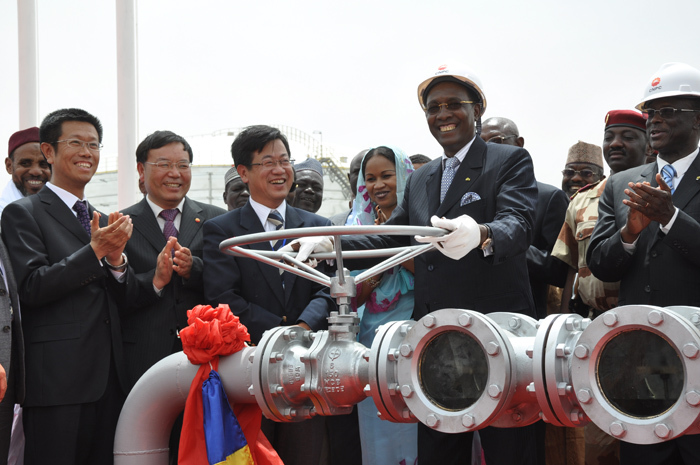 As the Ndjamena refinery plant went into production in June 2011, President Idriss Déby Itno said his country had won the victory of energy independence, which he attributed to Chad's significant partnership with China. Now, the CNPC operation covers the entire petroleum industrial chain in Chad, ranging from exploration and development, pipeline transportation, refining and storage, project construction and technology services. However, such starting-from-scratch stories are not confined to Chad. CNPC's cooperation with Sudan began as early as 1995, where the project has now become the largest and most successful CNPC overseas venture. In Niger, a complete petroleum industrial system has taken shape under a partnership with CNPC, allowing the country to not only realize oil self-sufficiency, but also earn foreign exchange through oil exports. Now, the petroleum industry is the backbone of the local economy. Besides Chad and Niger, the CNPC West African branch has also seen its operation spread in Algeria, Mozambique and Tunisia. With supports from the Chadian partner and its stakeholders, CNPC has developed two exploration and extraction projects, two crude oil pipeline projects and the Ndjamena refinery that can produce gasoline, diesel, aviation fuel, fuel oil, liquefied natural gas and polypropylene. By the end of this July, the company had developed six oil fields in Chad and transported 13.24 million tons of crude oil. The annual oil production has registered a steady growth in recent years and is expected to reach 4 million tons this year. Company data shows that in the near future, petroleum exploration and development capacity in Chad will reach 6 million tons. Going from risk exploration to large-scale development in Chad, CNPC says it routinely follows the principle of seeking quality and efficiency while maintaining sustainable development. "CNPC's oil exploration and development activities in Africa are guided by the concept of mutual benefit and win-win cooperation. The company strictly follows local policies, laws and regulations, and upholds a multinational corporate culture of mutual respect, openness and compatibility," said Chen Shudong, General Manager of CNPC International, West Africa Ltd. (Chad). Chad has now seen a steady domestic supply of oil products from the Ndjamena refinery, and exports part of the output to neighboring countries, which has laid a solid foundation for the nation's economy and integrated strength. In Niger, CNPC's West Africa branch had paid over $1 billion in taxes to the Niger Government by the end of 2017. As of this May, the company has produced 5.28 million tons of crude oil in the country, according to its statistics. In Sudan and South Sudan, CNPC has been fulfilling its social responsibilities by engaging in well-planned activities providing public benefits. The company has invested $120 million to support the development of agriculture, education, culture, medical care and infrastructure, benefiting more than 2 million African people. By promoting the integration of diverse cultures within the company, employees with different cultural backgrounds can understand and trust each other and live in harmony with local communities, said Chen. In the hinterland of Niger in the Sahara Desert, water shortage is an obvious problem. To raise the living standards of residents in nearby cities and towns, CNPC has dug 29 water wells and more than 40 water sources for local households and animal husbandry. 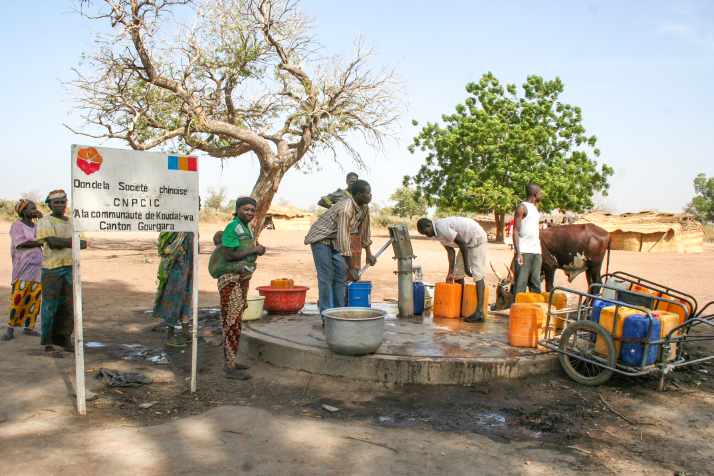 The same arid condition is also a challenge in Chad. By the end of this July, a total of 27 water wells had been drilled by CNPC, benefiting 25,000 residents in 21 villages. Apart from water shortages, gaining access to education in some African countries is still difficult for many children. The CNPC Niger branch says it has built 38 schools in areas neighboring its upstream projects and oil pipelines in the past few years. In Chad, two primary schools have been built and study material sponsored to three local schools; a joint education program with local university near the refinery plant has been maintained for years, while local students and technicians have been sent to China to receive further training and education. Since CNPC entered the Chad market in 2003, the company has signed with local enterprises a large number of purchasing and service contracts, substantially boosting Chadian economic development. With the Ndjamena refinery coming into production, the retail price of refined oil in Chad was reduced by about one third, and the country eventually started to develop its own polypropylene processing industry. Chen said the Forum on China-Africa Cooperation (FOCAC) is the most extensive, highest-level and most influential platform for communication between China and African countries. "It will play an increasingly important role in promoting mutually beneficial cooperation between China and Africa in the field of energy, especially oil in the case of CNPC, and in building a community of shared future," he said. CNPC will strengthen cooperation with related countries in Africa in its oil and gas business through deep cooperation with resource countries and take an active role in maintaining the partnership between China and Africa, said Chen. Adhering to the business principles of being sincere, hands on and honest, the CNPC says it aims to continue pushing forward its cooperation plans with African countries, assist Africa in developing itself through China's development, and facilitate regional industrialization and agricultural modernization, in an effort to achieve win-win results and realize shared development.